2019-1920 SEASONOn Sale April 22nd. Subscribe to SIMPLIFY, SAVE, and ENJOY! 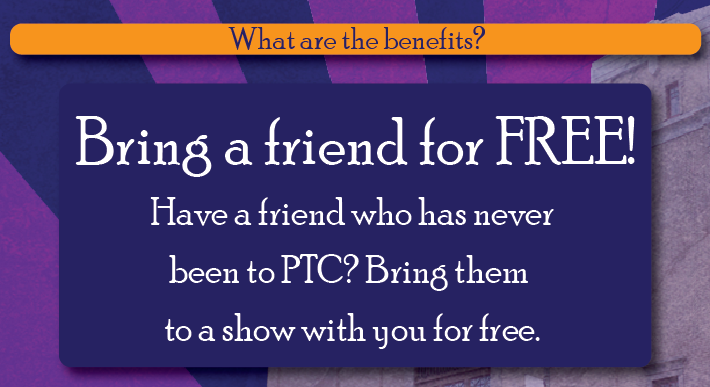 Bring a friend who’s new to PTC by receiving one FREE ticket when you come to a mainstage show! Advance notification of special events and first dibs on seats for the holiday & summer blockbuster shows! This package gives you the reassurance of uniformity. Choose Your Date, Your seats and enjoy them all season long. Flying away for the winter? Keep the same seats and performance date, but skip out the winter months. Choose Your Date, Your seats and enjoy Three of our mainstage shows! 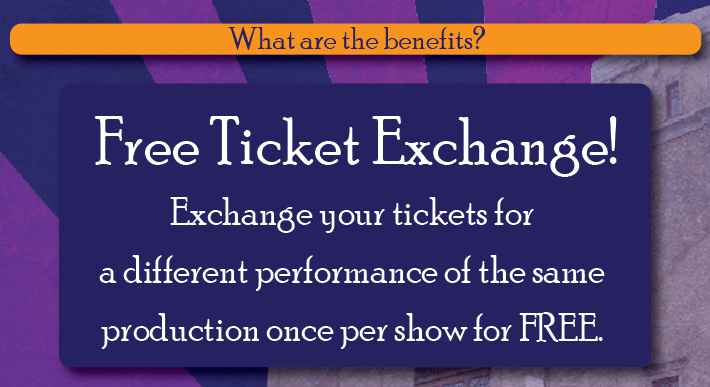 Flex-Pass:(4, 5, or 6 Shows) REDEEM ONLINE THIS YEAR! The ultimate deal and the ultimate flexibility! 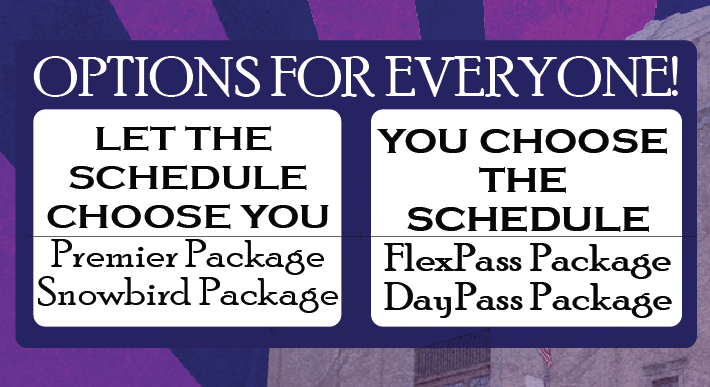 Choose Your Package, then choose your dates, times, and seats at your leisure! 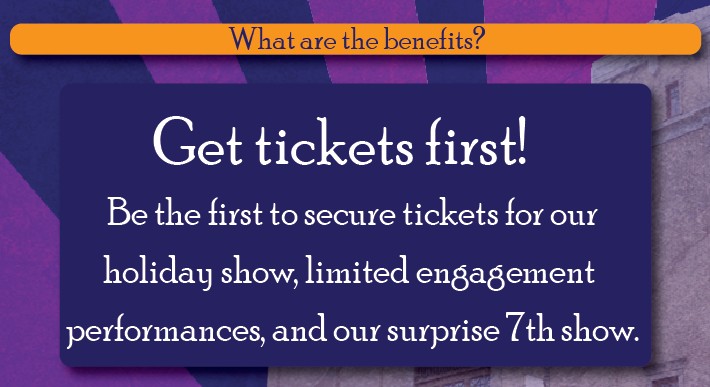 (The Holiday show is included in this package). 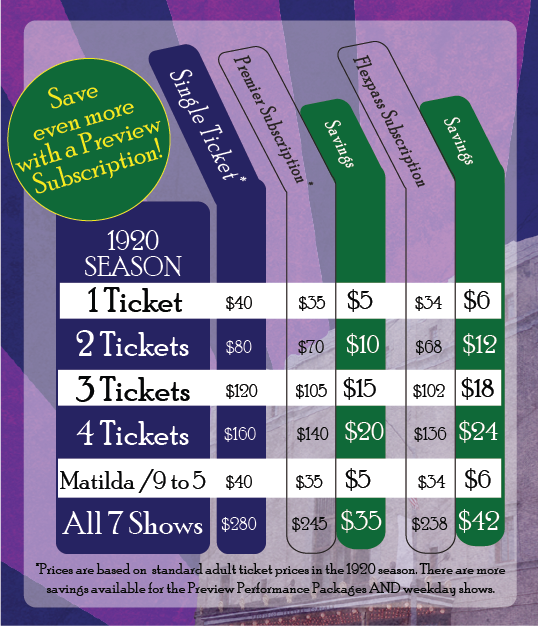 This subscription is for the audience member who likes to go on a whim and save! 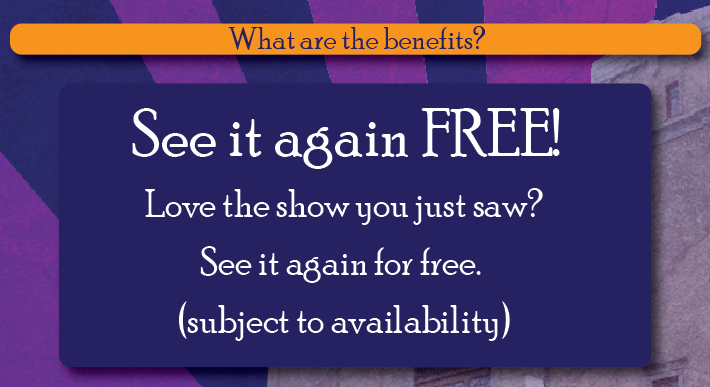 Reserve your seat 24 hours in advance of the performance and enjoy the show as many times as you wish! 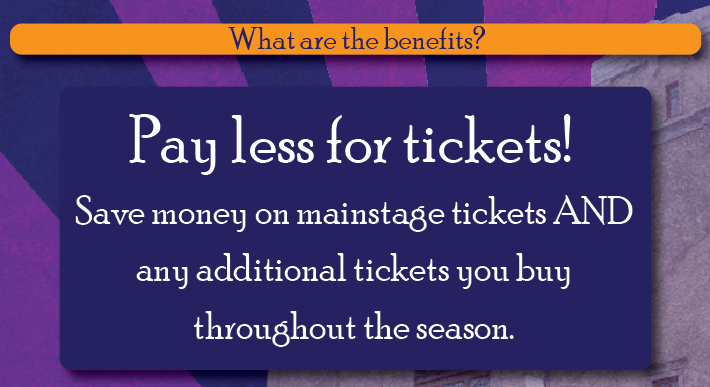 *Tickets can only be reserved 24 hours in advance of curtain, seating subject to availability.